This morning Jack got two of his molars sealed at the dentist, because the enamel didn’t form correctly. Rather than wait for cavities to form they seal the teeth and hope it helps for a few years. 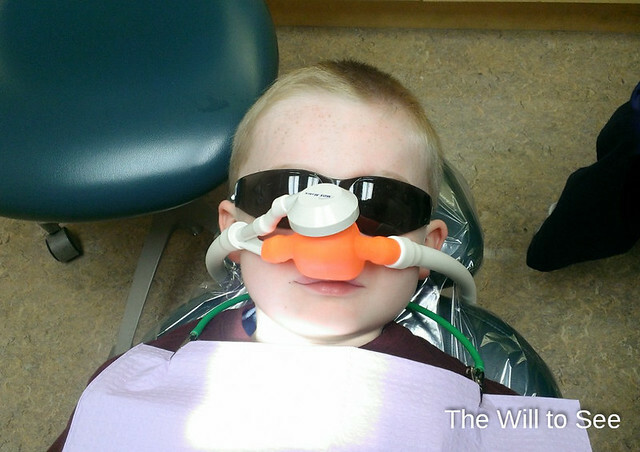 Since he was a bit nervous they gave him “happy air” and he got an orange scented nose piece. He did awesome.